School of Pharmacy, Swami Ramanand Teerth Marathwada University, Nanded - 431606, Maharashtra, India. ABSTRACT: Lymphatic Filariasis is one of the most abandoned tropical diseases caused by the parasite, Brugia malayi. The existing conventional drugs act generally on the larval stages of the parasite. The enzyme asparaginyl tRNA synthetase is an excellent molecular target as it plays a crucial role in protein synthesis. Evidences based on the literature presented clues to discover the flavonoids as potential anti-filarial leads, which led to the scope for this computational study. 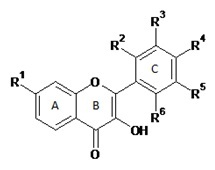 The computational parameters such as docking score, binding energy, intermolecular hydrogen bond interaction and the identical amino acids confirm that flavonoids could serve as prospective anti-filarial agents. The outcomes prove that they can be further explored in in-vitro and in-vivo studies to authenticate their claim as potential anti-filarial agents. INTRODUCTION: Lymphatic Filariasis (LF) is one of the most abandoned tropical diseases in several countries. It leads to major health problems such as physical disability, chronic morbidity and disfiguring 1. It is included in the top 10-neglected tropical diseases by World Health Organization (WHO) 2. According to a WHO report, about 70% of the infection worldwide is contributed alone by India, Bangladesh and Indonesia. Along with these countries, there are other endemic countries, like Nepal, Maldives, Sri Lanka, Myanmar, Timor-Leste and Thailand, having more number of LF patients. There are two main causative organism for LF, Brugia malayi and Wuchereria bancrofti, which signify a global health disaster with over 20% of the worldwide population at risk for infection. The most widespread causative organism for the filarial infection B. malayi, is transmitted by the mosquitoes (vector) like Culex, Anopheles, Mansonia and Aedes. The development and replication of B. malayi takes place in two different stages: in the mosquito vector and in the human. Both stages are necessary to the life cycle of the parasite. The male and female adult worms mate and the females produce an average of 10,000 sheathed eggs (microfilaria) daily. The micro-filariae enter the blood stream and exhibit the classic nocturnal periodicity and super periodicity3. In humans, the adult worms can stay alive in the lymphatic system for 5 - 15 years, resulting in swelling of the affected limbs. Since the past 20 years, three conventional drugs namely diethylcarbamazine, ivermectin and albendazole are in practice to treat this disease. These drugs are effective against the larval stages of the parasite, but are inefficient to kill the adult filarial worms 4. Currently these drugs are being used in the Global Programme to Eliminate Lymphatic Filariasis (GPELF) program, which has targeted to eradicate this disease by 2020 5. However, emergence of drug resistance to the currently existing treatment is a probable risk to the LF elimination program. Hence, there is an urgent need to discover superior anti-filarial drugs for the prevention and treatment of this disease. The first targets for anti-filarial drug discovery were Aminoacyl-tRNA synthetases (AARSs) embraced by WHO and are usually considered as outstanding therapeutic targets as they play a crucial role in protein synthesis. Among the AARSs, in particular, asparaginyl tRNA synthetase (AsnRS) in B. malayi is considered as the best, which catalyzes the specific attachment of amino acids to their cognate tRNAs in protein bio-synthesis 6. AsnRS is expressed in both male and females during all the stages of B. malayi life cycle - adult, microfilariae, and larval stages. Particularly in females, AsnRS levels are considerably higher than those of other AARS 7. In B. malayi and W. bancrofti, the AsnRSs are identical at the amino acid level and exist as multi-copy genes encoding an immuno-dominant antigen that produces a strong antibody response in the serum of humans with LF. Hence, AsnRS is now considered as a convincing molecular target for anti-filarial drug discovery. 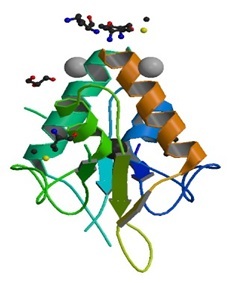 At present, the crystal structure of AsnRS in complex with the ligand 5'-O-[N-(L-asparaginyl) sulfamoyl] adenosine (NSS) is available in the Protein Data Bank. NSS is a synthetic non-hydrolysable analogue of the native intermediate compound AsnAMP. 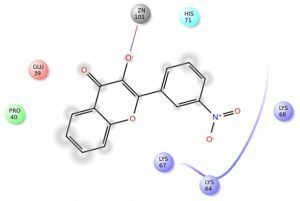 In screening analogues of NSS containing all 20 proteinogenic amino acids, the analogues were found to have potent immunosuppressive activity and act as potent inhibitors of AARSs 8, 9. Flavonoids are a major family of secondary metabolites, which are widely distributed in plants and are common constituents of human diet. To date, more than 9000 flavonoids have been found in plants 10. In general, flavonoids consist of a flavan scaffold and various modifications, producing an extremely diverse range of derivatives. These compounds possess a common phenylbenzopyrone structure (C6-C3-C6), and they are categorized according to the saturation level and opening of the central pyran ring, mainly into ﬂavones, ﬂavanols, isoﬂavones, ﬂavonols, ﬂavanones, and ﬂavanonols 11. Flavonoids are endowed with a wide range of biological benefits to human health that include not only anti-inflammatory, antioxidant, antibacterial, antifungal and antiviral activities but also anti filarial activity 12. Numerous studies have successfully shown various types of flavonoids such as baicalein, quercetin, luteolin, kaempferol, plumbagin and rutin to that are very active against various pathogens 13. 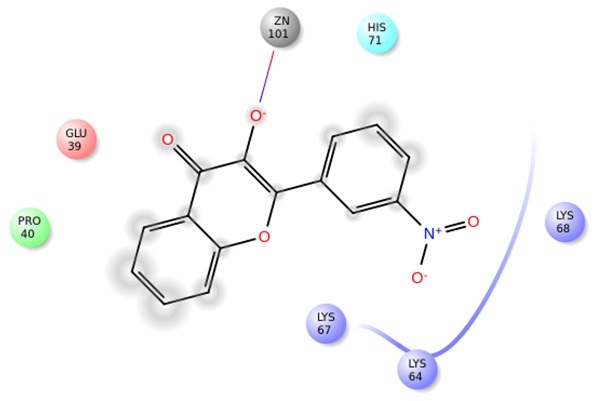 The search for identification of the leads for various drug targets led us to explore some synthetic flavonoid derivatives as potential anti-filarial leads for our present study. Molecular docking is a frequently used tool in computer-aided structure-based rational drug design. It evaluates how small molecules called ligands (flavonoids) and the target macromolecule (hematopoietic cell kinase) fit together 14. AutoDock Tools (ADT) is a program package of automated docking tools and designed to predict how small molecules bind to a target protein of known 3D-structure. Besides generating binding energies in these docking studies, the position of the ligand in the enzyme binding site can be visualized 15. It can be useful for developing potential drug candidates and also for the understanding the binding nature. Therefore, we have designed the present study using computational approaches to discover the potential of some synthetic flavonoids, targeting the inhibitory effect against asparaginyl tRNA synthetase. Protein Preparation: The crystal structure of AsnRS (PDB ID: 4ZYA) is given in Fig. 1. The X-ray crystallographic coordinates of AsnRS in its complex form with the ligand NSS, at a resolution of 1.9A° was retrieved from the Protein Data Bank. Water molecules, ligands and other heteroatoms were removed from the protein molecule along with the chain B. Addition of hydrogen atoms to the protein was performed using CHARMm force field. Energy minimization was performed by using conjugate gradient method with an RMS gradient of 0.01kcal/(A° mol) on Accelyrs Discovery studio client (version 2.5) (2009) San Diego. Ligand Preparation: The flavonoid compounds considered for the present study are given in the Fig. 2. The molecules were retrieved from the pubchem database and the chemical structures were generated using SMILES notation (Simplified Molecular Input Line Entry Specification) with Discovery Studio 2.5 version. Docking Studies: Docking calculations were performed to predict the binding affinity between the AsnRS and flavonoid compounds using Schrodinger AutoDock 4.2. AutoDock requires pre-calculated grid maps, one for each atom type present in the ligand being docked. These maps were calculated by using the auxiliary program AutoGrid. The compounds treated as flexible molecules were allowed to move in the six spatial degrees of freedom for orientation and torsional degrees of freedom within the grid box. Lennard - Jones parameters 12 - 10 and 12 - 6, implemented with the program, were used for modeling H-bonds and Van Der Waals interactions, respectively. RESULTS AND DISCUSSION: The binding energy and their corresponding docking score, the interaction of substituents with different amino acids for each class of flavonoids with AsnRS are given in Table 1. All the energies are reported in kcal/mol. Fig. 3 shows the lowest binding energy conformation of flavonoid (compound 2). Their interacting residues in the binding site of AsnRS are represented in elemental coloured ball and stick model. The coloured lines between the atoms represent the hydrogen bonds which links the substituents with amino acid of the protein. Among all the studied compounds, the flavonoid ligand, [3-hydroxy-2-(3-nitro)-4H-chromen-4-one] (compound 2), showed best docking scores, best molecular properties and bioactivity. CONCLUSION: The binding and interactions of flavonoid compounds with AsnRS have been studied using molecular docking calculations. Most of the compounds have shown significant binding interactions with the AsnRS. The decrease in activity compared to other class of compounds may be due to unfavourable interactions with the binding site residues. Based on docking scores, the molecular property and bioactivity score of the compounds, it is possible to conclude that the flavonoid ligand, [3-hydroxy-2-(3-nitro)-4H-chromen-4-one] (compound 2) showed best docking scores, best molecular properties and bioactivity hence it can be considered to have best antifilarial activity. The outcomes prove that they can be explored further in in-vitro and in-vivo studies to validate their claim as potential anti-filarial agents. ACKNOWLEDGEMENT: The authors are thankful to School of Pharmacy, Swami Ramanand Teerth Marathwada University, Nanded for providing research facilities. Sharma OP and Kumar MS: Essential proteins and possible therapeutic targets of Wolbachia endosymbiont and development of FiloBase-a comprehensive drug target database for Lymphatic Filariasis. Scientific reports 2016; 6: 19842-19852. Sangshetti J, Shinde D, Kulkarni A and Arote R: Two decades of antifilarial drug discovery: a review. RSC Adv 2017; 7: 20628-20666. Schroeder J, McCarthy D, Szestak T, Cook D, Taylor M, Craig A, Lawson C and Lawrence R: Brugia malayi microfilariae adhere to human vascular endothelial cells in a C3-dependent manner. PLoS Negl Trop Dis 2017; 11(5): 1-22. Report on the mid-term assessment of microfilaraemia reduction in sentinel sites of 13 countries of the Global Programme to Eliminate Lymphatic Filariasis. Releve epidemiologique hebdomadaire / Section d'hygiene du Secretariat de la Societe des Nations Weekly epi-demiological record / Health Section of the Secretariat of the League of Nations 2004; 79(40): 358-365. Global programme to eliminate lymphatic filariasis: progress report, 2014. Releve epidemiologique heb-domadaire / Section d'hygiene du Secretariat de la Societe des Nations. Weekly epidemiological record / Health Section of the Secretariat of the League of Nations 2015; 90(38): 489-504. Crepin T, Peterson F, Haertlein M, Jensen D, Wang C, Cusack S and Kron M: A hybrid structural model of the complete Brugia malayi cytoplasmic asparaginyl-tRNA synthetase. 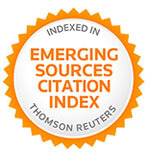 Journal of Molecular Biology 2011; 405(4): 1056-1069. Pham JS, Dawson KL, Jackson KE, Lim EE, Pasaje CF, Turner KE and Ralph SA: Aminoacyl-tRNA synthetases as drug targets in eukaryotic parasites. 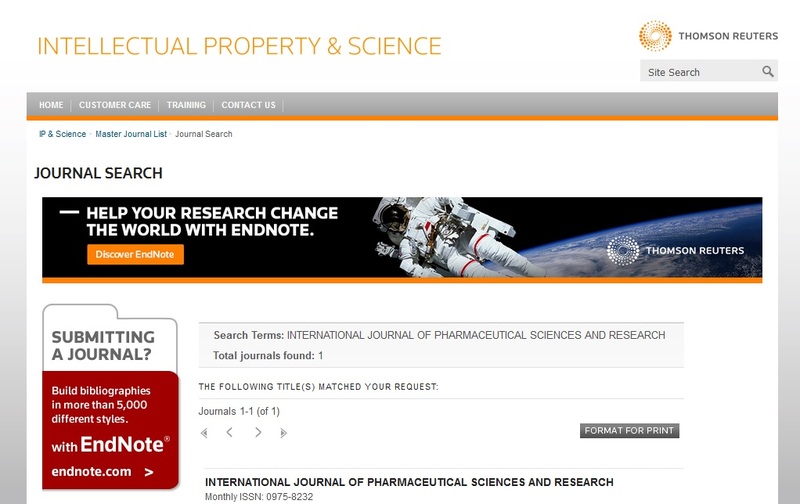 International Journal for Parasitology: Drugs and Drug Resistance 2014; 4(1): 1-13. Lv PC and Zhu HL: Aminoacyl-tRNA synthetase inhibitors as potent antibacterials. Current Medicinal Chemistry 2012; 19(21): 3550-3563. Arya H and Coumar MS: Virtual screening of Traditional Chinese Medicine (TCM) database: Identification of fragment-like lead molecules for filariasis target asparaginyl-tRNA synthetase. Journal of Molecular Modeling 2014; 20(6): 2266-2278. Hernadez I, Alegre L, Van Breusegem F and Munne-Bosch S: How relevant are flavonoids as antioxidants in plants? Trends Plant Sci 2009; 14: 125-132. Cushnie TP and Lamb AJ: Antimicrobial activity of flavonoids. Int J Antimicrob Agents 2005; 26: 343-356. Habbu PV, Mahadevan KM, Shastry RA and Manjunatha H: Antimicrobial activity of flavanoid sulphates and other fractions of Argyreia speciosa (Burm.f) Boj. Indian Journal of Experimental Biology 2009; 47(2): 121-128. Muthusamy K, Arumugam S, Raj B, Muthiyah M and Jerrine J: Screening of Phyto- molecules against Brugia malayi asparaginyl tRNA synthetase - An in-silico approach towards anti filarial leads. Der Pharma Chemica 2016; 8(19): 363-370. Norgan AP, Coffman PK, Kocher JPA, Katzmann DJ and Sosa CP: Multilevel parallelization of AutoDock 4.2. J Cheminform 2011; 3(1): 12-20. Zhang S, Kumar K, Jiang X, Wallqvist A and Reifman J: DOVIS: An implementation for high throughput virtual screening using Autodock. BMC Bioinform 2008; 9: 126-129. Kamble PA and Wadher SJ: In-silico screening of flavonols against Brugia malayi asparaginyl tRNA synthetase. Int J Pharm Sci & Res 2018; 9(9): 3858-62. doi: 10.13040/IJPSR.0975-8232.9(9).3858-62.